They did it! 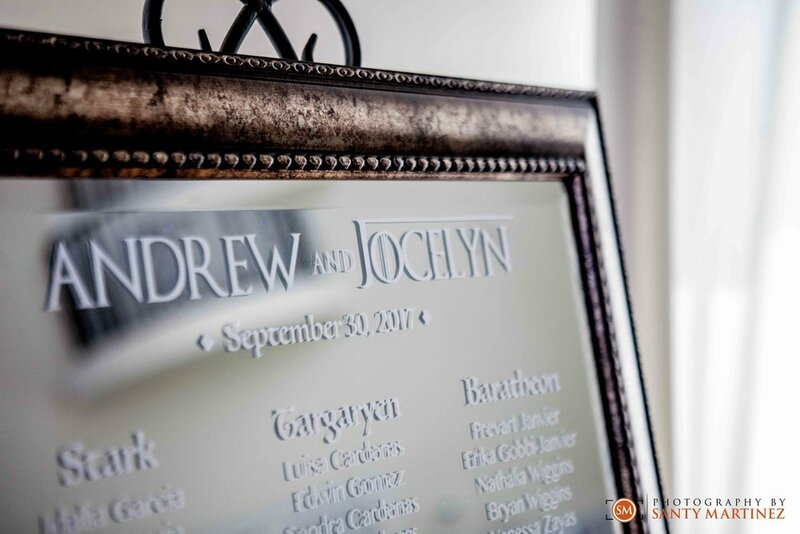 Jocelyn and Andrew tied the knot! If you keep up with our blog, you may remember these two from the photos of their engagement session at Morikami Museum and Japanese Gardens. We are excited to announce that they are now husband and wife. Their day could not have been more incredible. 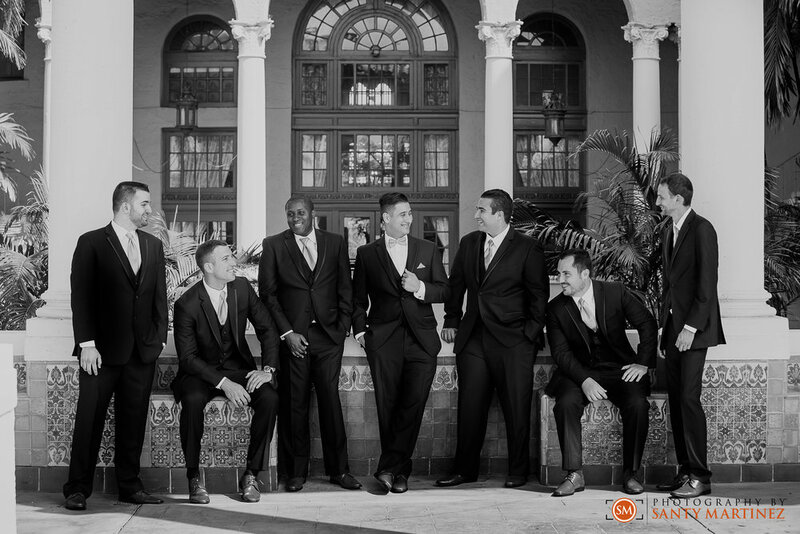 It was an early start at the Biltmore Hotel in Coral Gables as they each got ready in their respective rooms. It is so important for us to capture this stage of the day and all the details that go into getting ready – the dress, the shoes, the rings… the cuff-links, the shot glasses! If an item is prominently in the room, we like to assume it has a special meaning. We will take its picture! All of these things contribute to making the day unique. 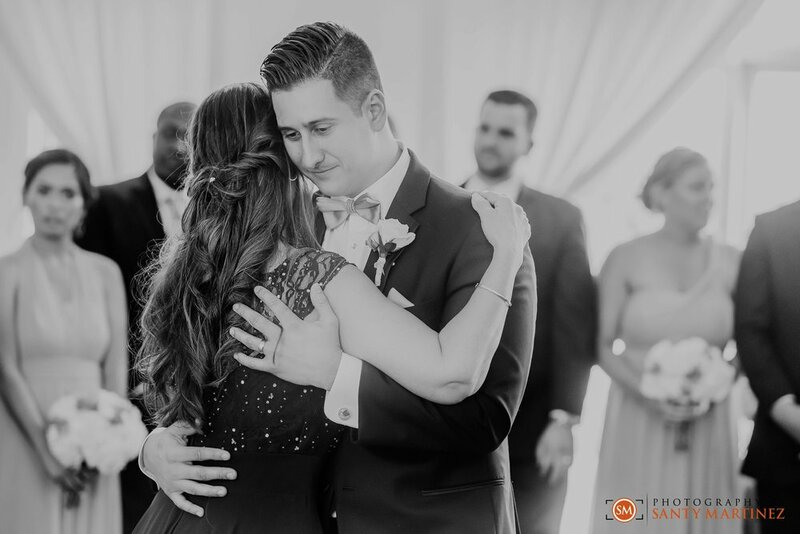 There are also special moments that we don’t want to miss – the first time mom smiles as she buttons up her daughter’s bridal gown or when the groom has a last toast with his groomsmen before he is off to see his bride. These are moments we, as wedding photographers, know to anticipate yet have to be quick to capture. 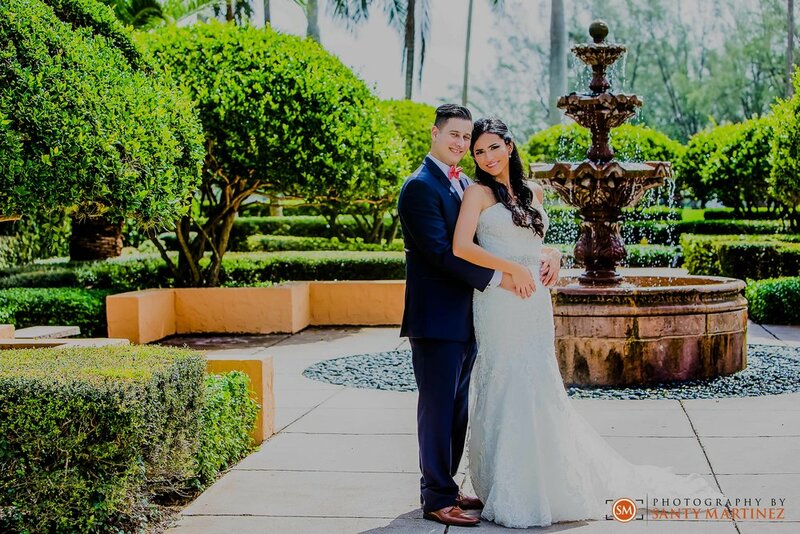 We took advantage of the gorgeous day and the Biltmore’s iconic architecture for portraits of the couple prior to the ceremony. They had had some practice at their engagement shoot and by their wedding day, these two were experts at posing! 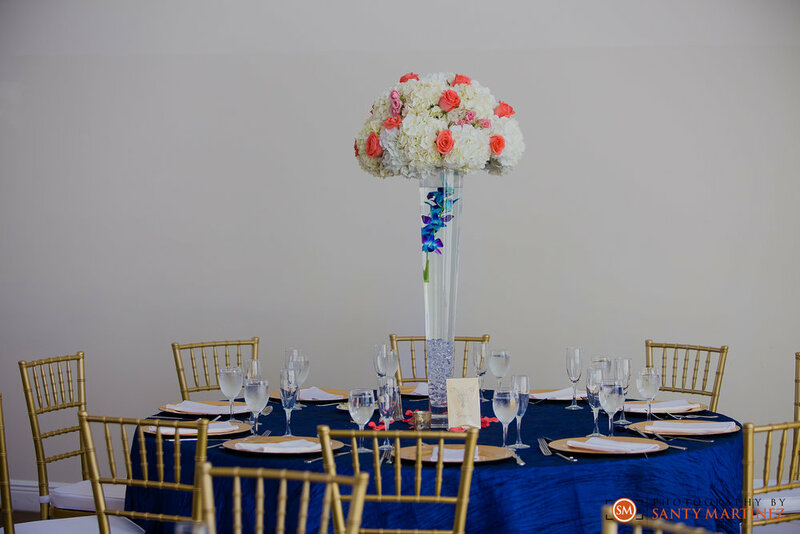 This helped a lot as we were able to get through the photos of the two of them in minimal time so that they could freshen up before they said “I do”! 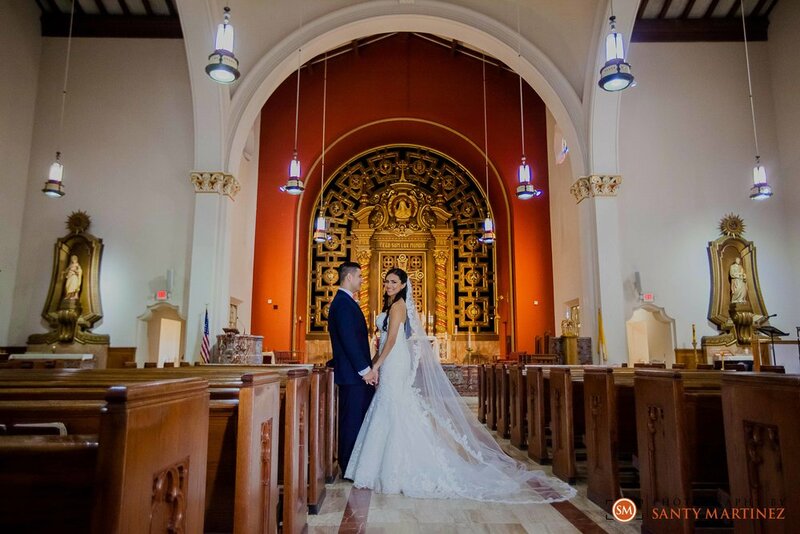 Jocelyn and Andrew’s ceremony took place at The Church of the Little Flower Catholic Church, also in Coral Gables. 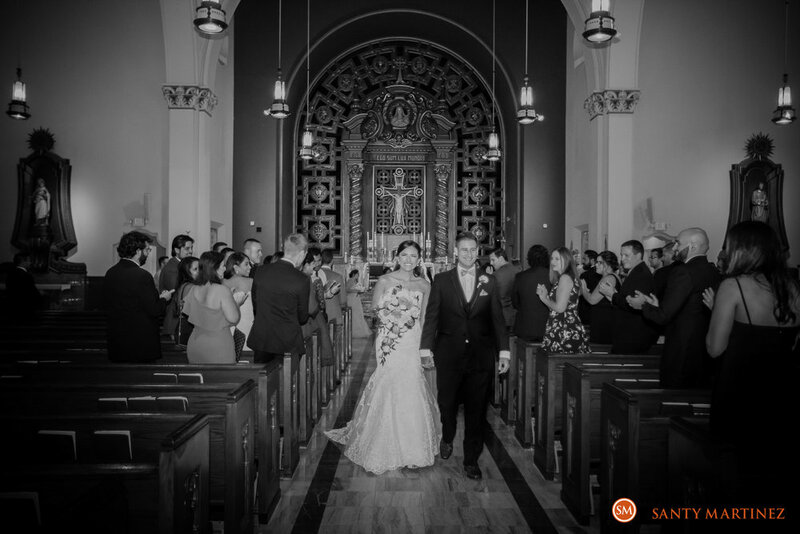 The church is built in a Spanish Renaissance style with a majestic domed ceiling. Jocelyn looked absolutely stunning walking down its long aisle as Andrew had one of the best grins we’ve ever seen on a groom! 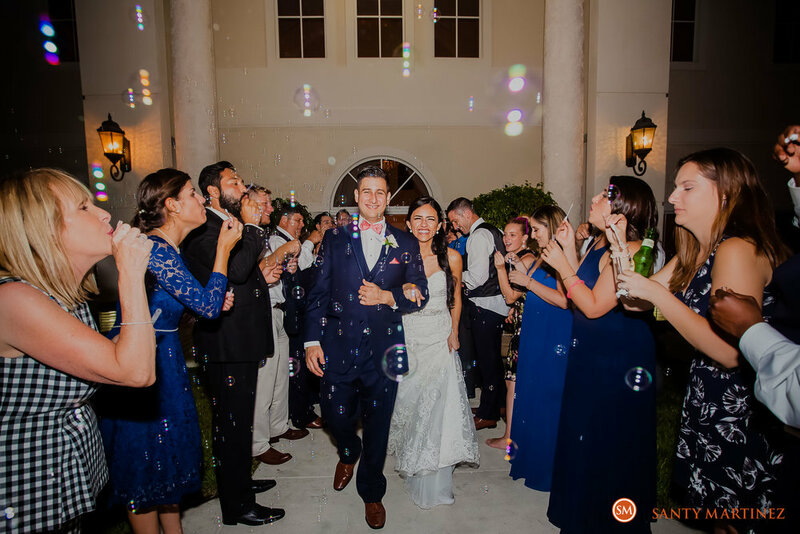 Once these two were officially married, it was time to party! They reunited with all of their friends and family just a short drive south at Vista Lago Ballroom. As guests enjoyed a cocktail (or two) outside, the couple took a moment to themselves to admire their ballroom décor. (Some of our readers may recognize the Game of Thrones inspiration!) The rest of the evening was one big celebration. 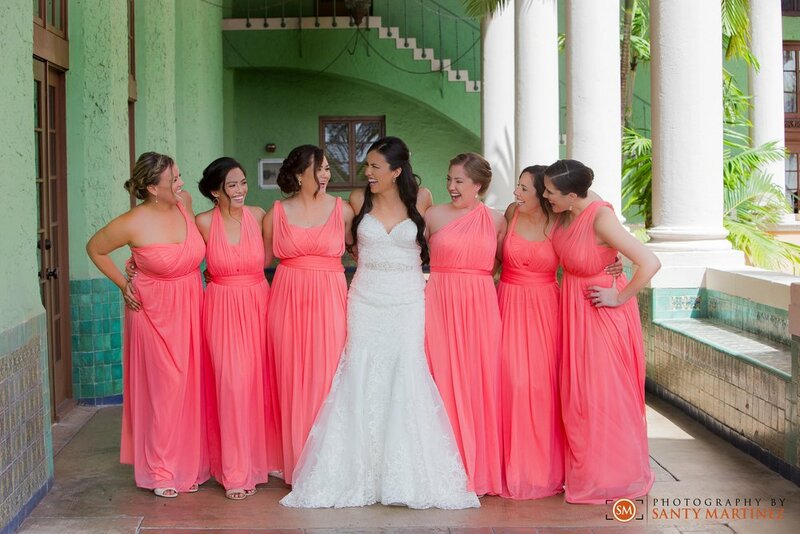 Jocelyn and Andrew were surrounded by so much love and happiness – what a fantastic start to a marriage! Please join us as we send our warmest wishes to the new Mr. and Mrs.!